As our country has become faced with more and more labor shortages in the agriculture, construction and hospitality industries, will the DREAMers step up and provide the necessary labor? I know... Some of you are saying, "What labor shortage?" With the high unemployment rates, how could we possibly have a labor shortage? But the truth is, we do. Matt O'Brien with the Contra Costa Times in northern California recently wrote about the growing fears of California farmers who are facing an ever growing labor shortage. His article quotes 26 year old Pasqual Aragon who said, "The truth is that there's a lot of work and not enough people." Many people would acuse these employers of just looking for cheap labor. But that is not true either. They are just looking for labor. Last week, during the Chick-fil-A protests and support rallies, I spoke with the owner of Houston's largest Chick-fil-A. He told me, "The lowest wage we pay is about $10.50 per hour, and it goes up to nearly $20 per hour." He told me if it wasn't for immigrant workers, he would not be able to fill his labor requirements. The truth is, American citizens just don't want these manual labor jobs. That is the sad truth. But it is why we must have immigrant labor to meet these demands. 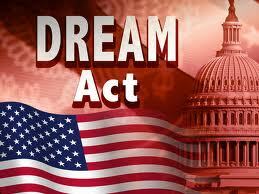 Today, President Barack Obama's DREAM "Non-Act" goes into effect. Millions of new workers will now be legal to compete in the job market for jobs. My question is, will these DREAMers solve the emerging labor crisis where we need people to work manual labor jobs? I think not. These DREAMers are young people who grew up in the same school systems as our own American citizen children. And our school system simply does not prepare people for seeking or taking these kinds of jobs. Today, Homeland Security Secretary Janet Napolitano sent out the following guidelines for employers to follow in this process. Secretary of Homeland Security Janet Napolitano has recently announced that certain young people who were brought to the United States as children and who are not presently authorized to remain in the United States (“DREAMers”) will be considered for work authorization. There may be as many as one million individuals in the United States who are likely working right now, under a false identity, and who, as a result of the announcement, will become eligible to work in the United States under their true identity. For more information on the announcement including recommendations on how to manage situations in which employees identify as a “DREAMer” please review the details below. and Graduated from high school, obtained a GED, enlisted in the military, or currently be enrolled in school. What is the Process for an Individual to Apply for Work Authorization? At present, no means exists for an individual to apply for work authorization under this program. A process is anticipated to be rolled out on or around August 15, 2012, by U.S. Citizenship and Immigration Services (“USCIS”). Until then, the time it will take for an eligible DREAMer to be granted work authorization is unknown. Nor is it known whether USCIS will grant DREAMers interim employment authorization while their applications are pending. And exploring whether tax, benefit, and payroll documentation need to be corrected to ensure that taxes and benefits are attributed to the proper party. Companies unaware of the risks associated with employee verification requirements can find themselves sanctioned for non-compliance. Penalties for non-compliance range from significant fines to criminal sanctions for management. The greatest threat to a company, however, often is the business disruption that results from an investigation. In addition, for publicly traded companies, verification compliance (and the failure to address it) raises Sarbanes-Oxley issues. For all companies, compliance issues can bring negative publicity. Has the Obama Administration solved a problem in America? Or, more likely, have they created yet another bureaucratic mess the government will not be able to properly manage? One that will put employers at risk and not do a thing to reform our severly crippled immigration system.